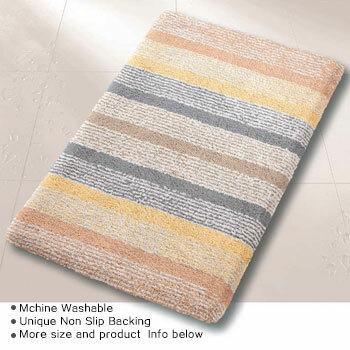 Looking for a more traditional bathroom rug design? We have many traditional rug shapes and styles to choose from. Our range of traditional bath rugs are individually machine tufted by hand and are available in cotton or polyacrylic material. Simply select your favorite design below to learn more about style and color options including how easy it is to care for these quality traditionally designed bathroom rugs.